I cannot count how many “warrior souls” I’ve met across the country in the pro-life movement. I think of the elderly woman who could not walk, yet confined to a wheelchair and battling with cancer, insisted on going regularly to pray at the abortion mill, or the young people who relocate to unfamiliar parts of the country and, for little or no salary, undertake full-time pro-life work. The litany can go on and on. Some glimpse the horrific problem of abortion, and how entrenched it is in our society, and pretend that there is nothing that can be done. They end up either not engaged in the battle, or engaged in it as “a hobby,” as something to be squeezed in when “more important” things aren’t demanding our attention. The other response is to become the “warrior soul.” While this is not “fanaticism,” it is total dedication, to the point of being willing to give one’s life in the cause. The issue of our day is the sanctity of life. We’re in a war, and this war goes to the core of our faith. 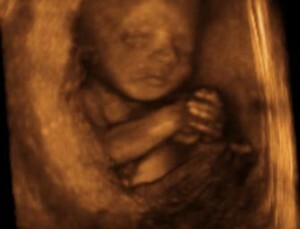 There is a division here, between those that are going to absolutely defend the sanctity of life, and those who are not. Now, I want to say to you today that it is time for people to leave their professions, it is time for students to leave their universities, it is time for people to band together and to dedicate themselves on a full time basis to ending the disaster that continues in our midst day after day — the slaughter of innocent children. It’s time to dedicate ourselves full time to ending this. I feel like Elijah saying, why are we straddling the fence, what’s the problem here? We have got to band together here. I am calling on everyone, right now, within the sound of my voice, If you feel within your heart the call to devote yourself, on a full time basis to ending the tragedy of abortion, you contact me. We are building an army here. It’s time to act, and to give our very lives for our unborn brothers and sisters. Help Stop This Notorious Late-Term Abortionist!